A surging US currency has hit the country’s largest companies like PepsiCo and Google, shaving off more than $20 billion from their 2015 first quarter sales. General Motors, IBM, Procter & Gamble, Amazon and Johnson & Johnson have experienced $1billion plus haircuts on sales as they translated revenues earned abroad into US dollar terms, the Financial Times reported on Sunday. The world’s most valuable company Apple is to report earnings on Monday and warned in January that the currency move could slice more than $2 billion from its quarterly revenues. This is after the company posted the biggest quarterly earnings in corporate history of $18 billion in the quarter to December last year, surpassing Wall Street’s most optimistic expectations. For companies that do a large part of their business overseas, a strong dollar means lower sales when the money is back from a country with a weaker currency. Meanwhile, McDonald’s, Google, Facebook, Microsoft, Tyco, Coca-Cola, Kimberly-Clark, 3M, Caterpillar and PepsiCo are among the dozens that have pointed to currency swings when delivering results. Xerox Corp also blamed a strong dollar for its 6.3 percent revenue decline in Q1 2015 to $4.47 billion and cut its full-year profit forecast. Seventy-one percent of S&P 500 companies have eclipsed first-quarter earnings expectations, while 55 percent of corporates have failed to beat revenue forecasts, according to S&P Capital IQ. More than 100 of the roughly 190 S&P 500 constituents that have reported first-quarter results had a $20.1billion reduction in sales, FT analysis showed. Revenues, also known as ‘top-line growth’, show how quickly a company is growing. Revenues of large US corporations have latterly gained from a weaker dollar and a strong push into emerging markets. However, the greenback has risen about 23 percent against a basket of major currencies in the past year and has strengthened significantly since the start of 2015, thus turning out to become a driver of revenue decline. “Top-line growth is incredibly challenged. 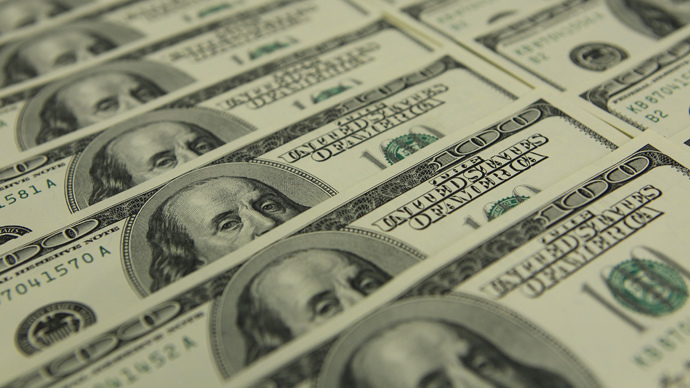 The dollar is even a bigger problem than people thought,’’ chief strategist at BTIG Dan Greenhaus told the FT.